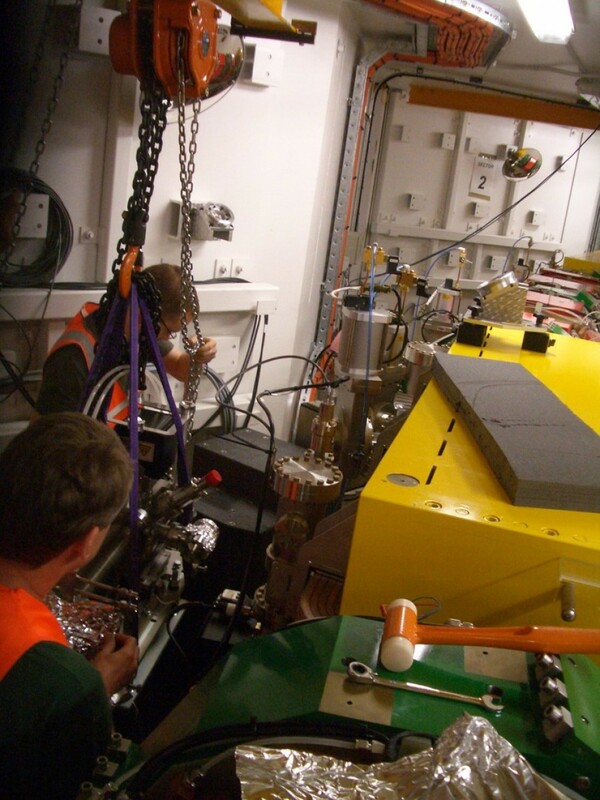 Granite block in place at ASP. 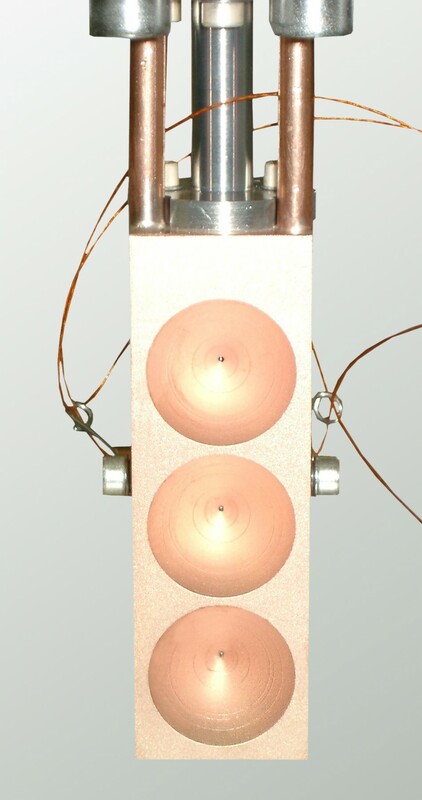 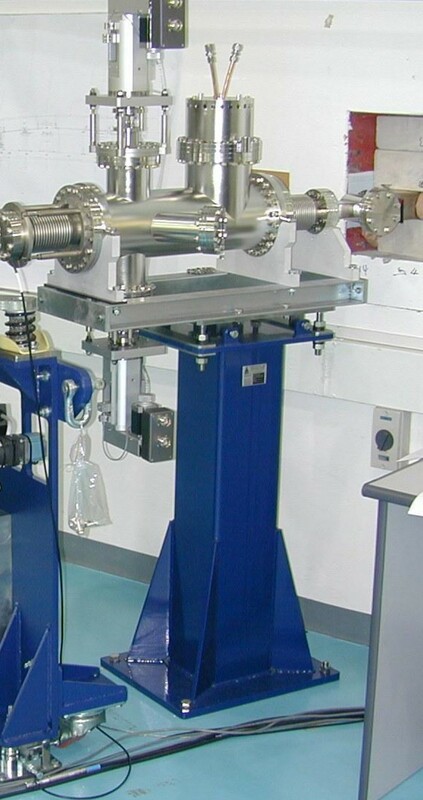 Vibration tests with water flow. 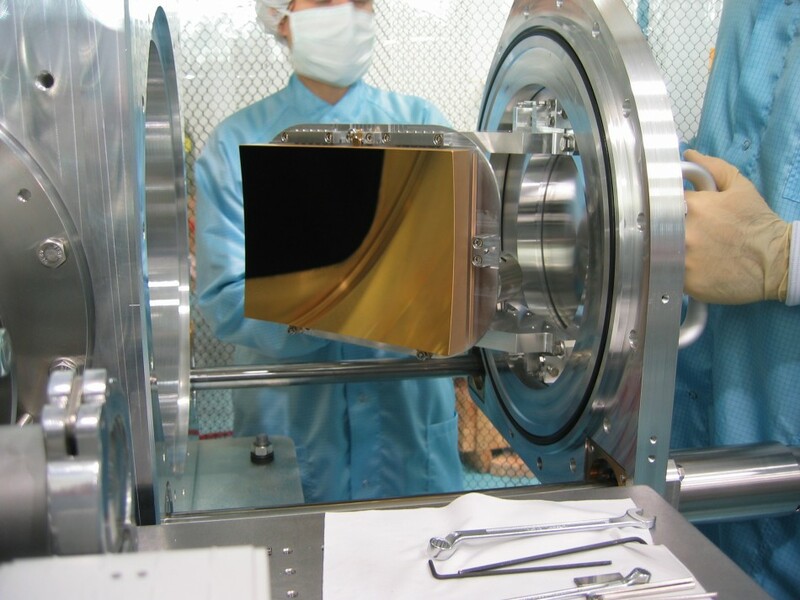 Installation of the mirror at the mirrorholder. 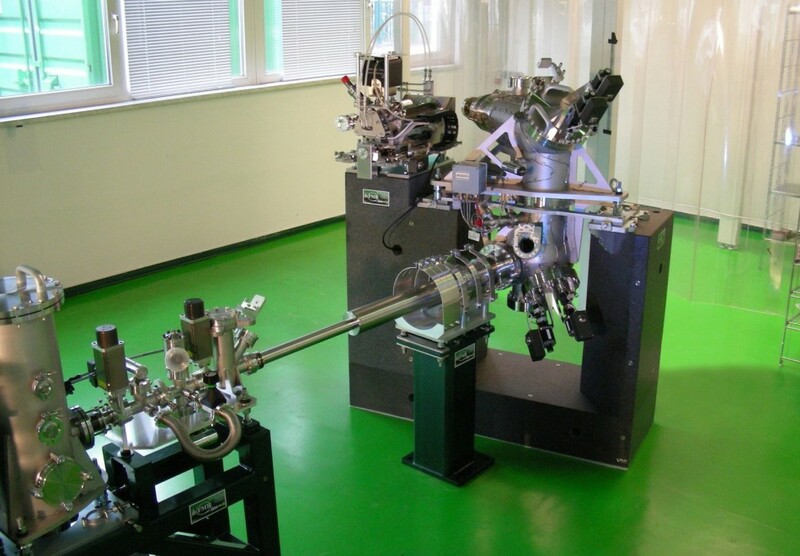 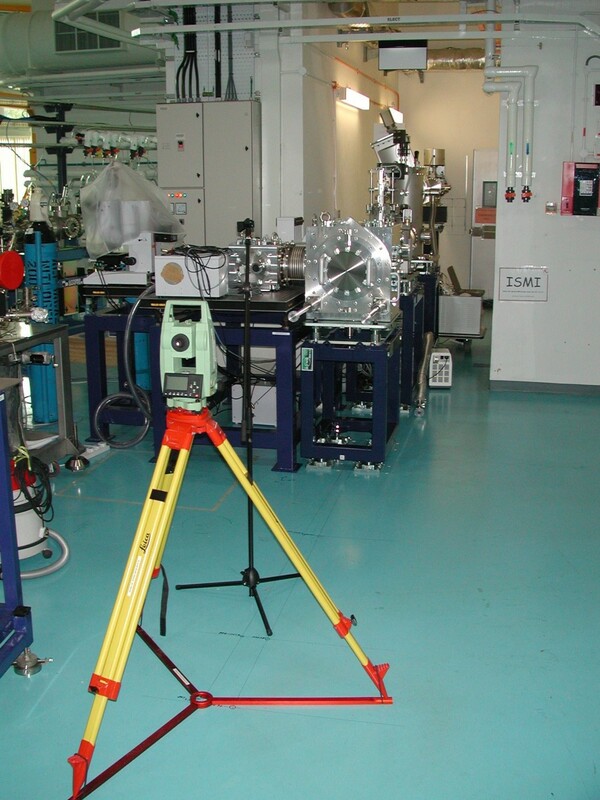 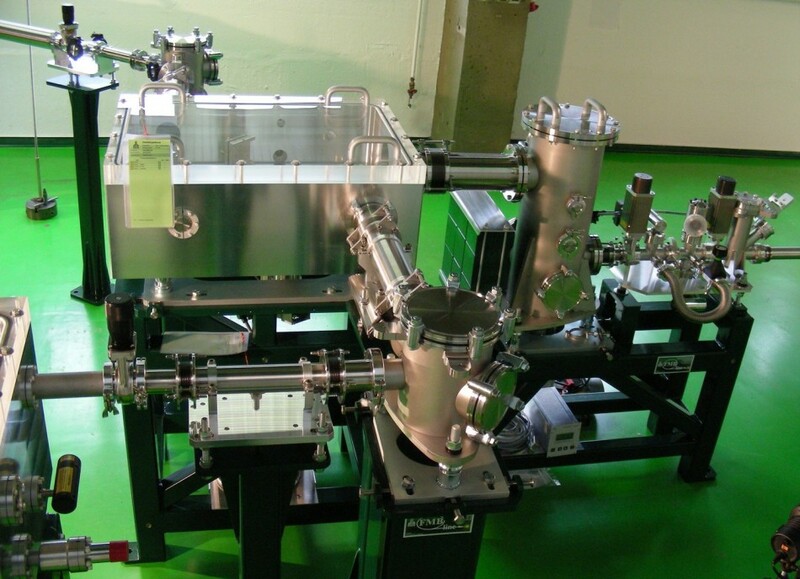 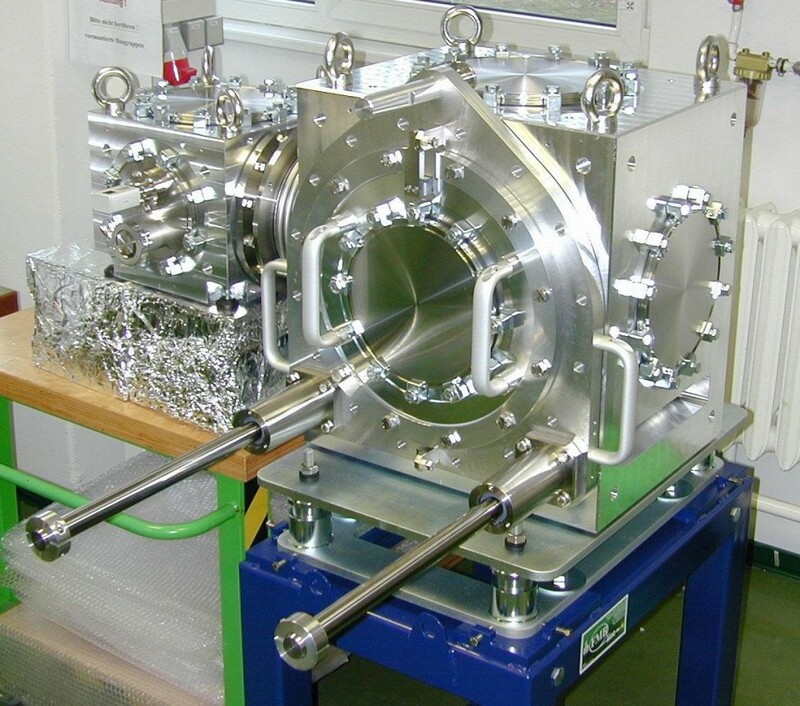 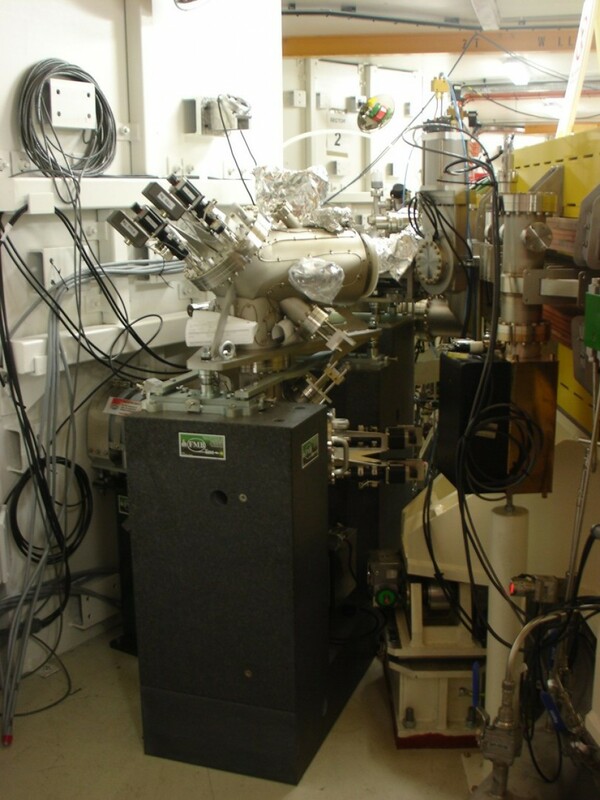 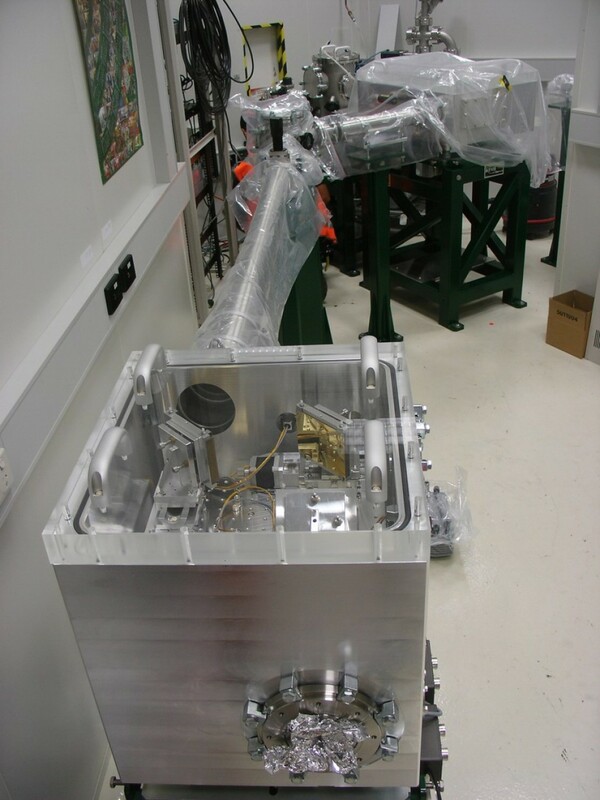 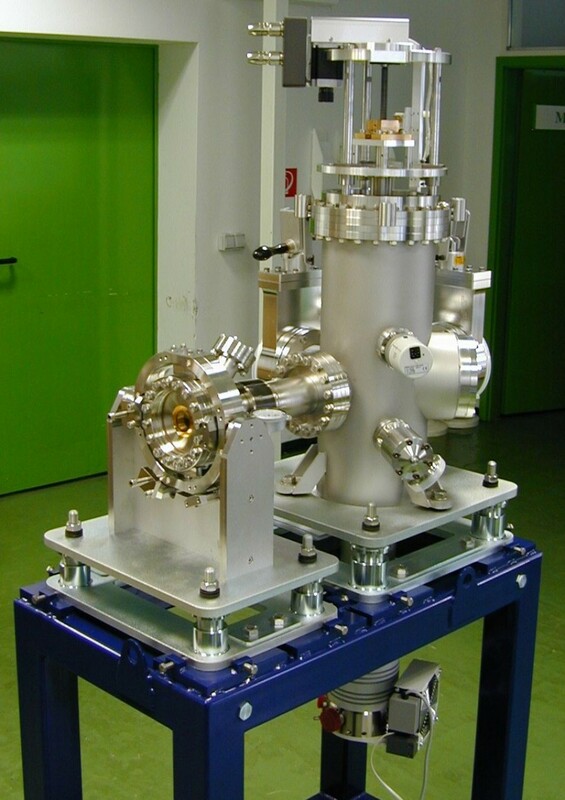 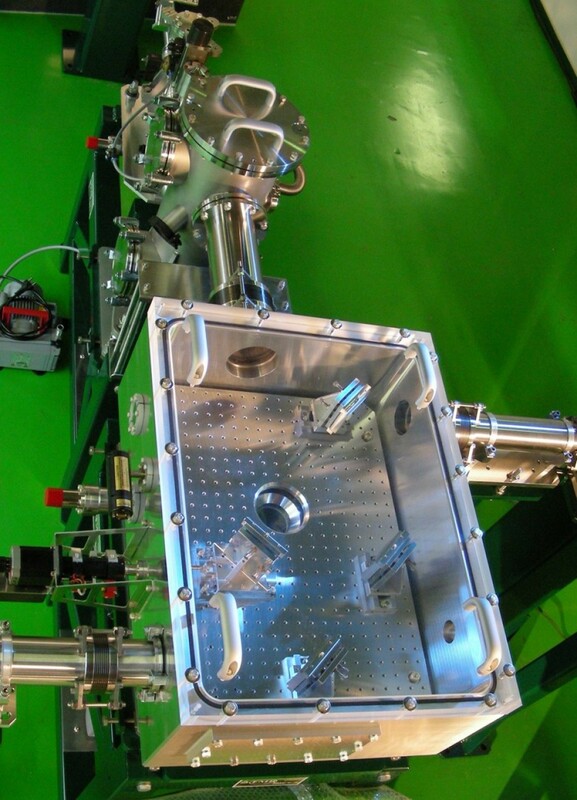 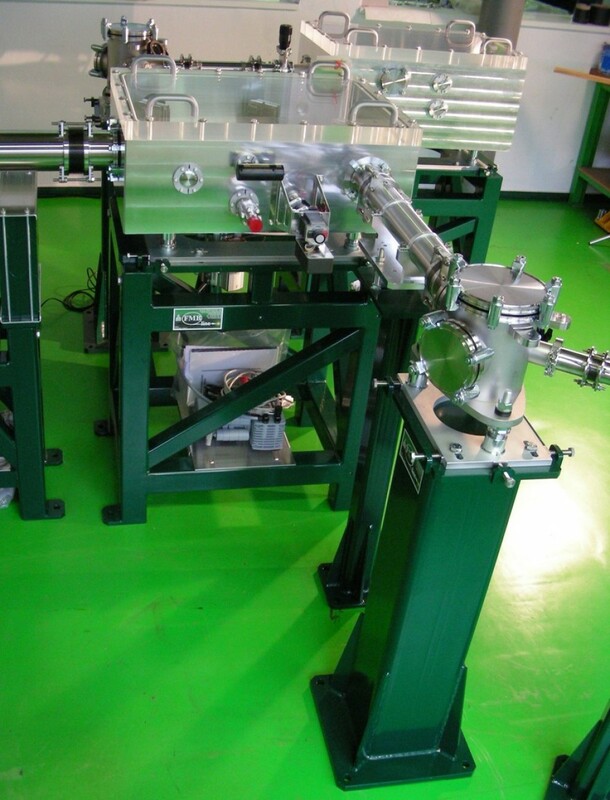 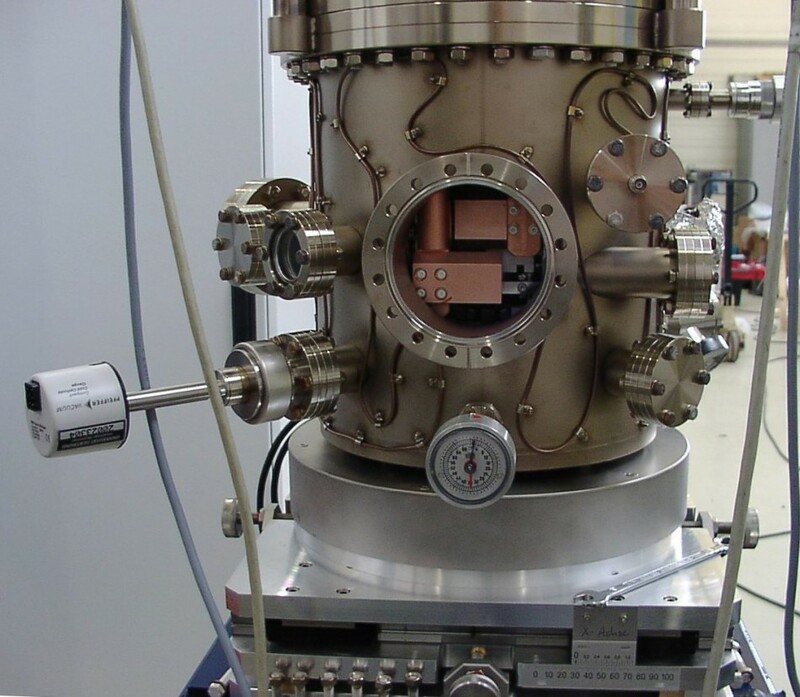 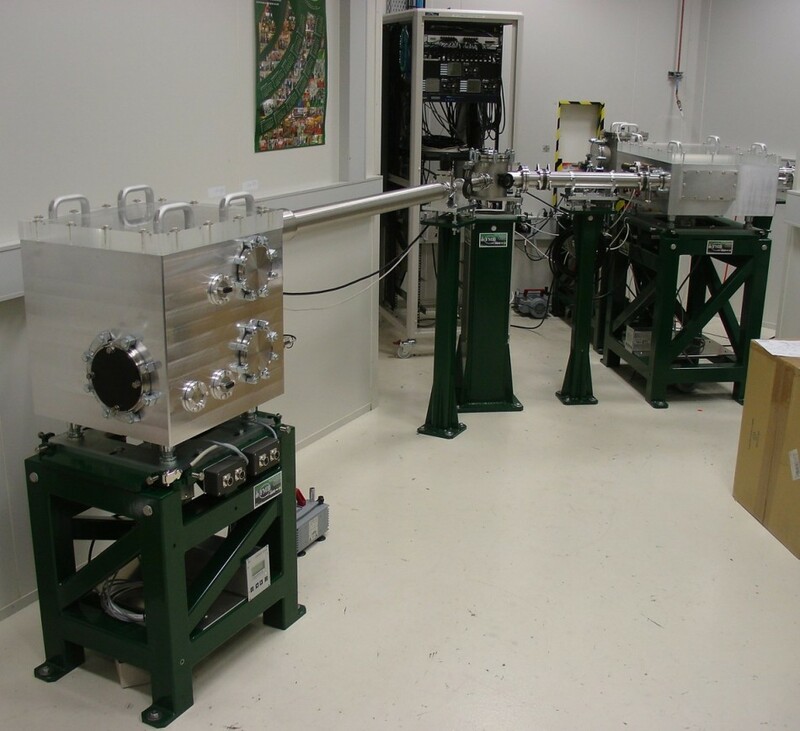 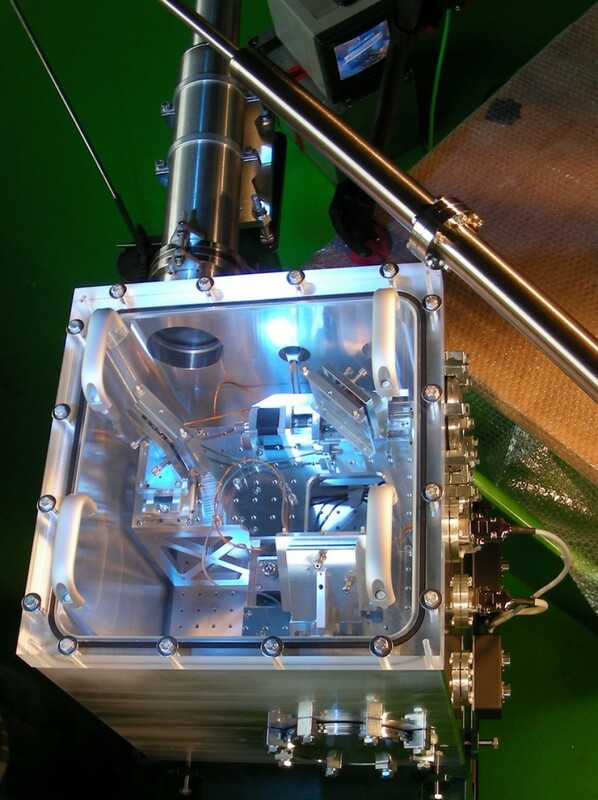 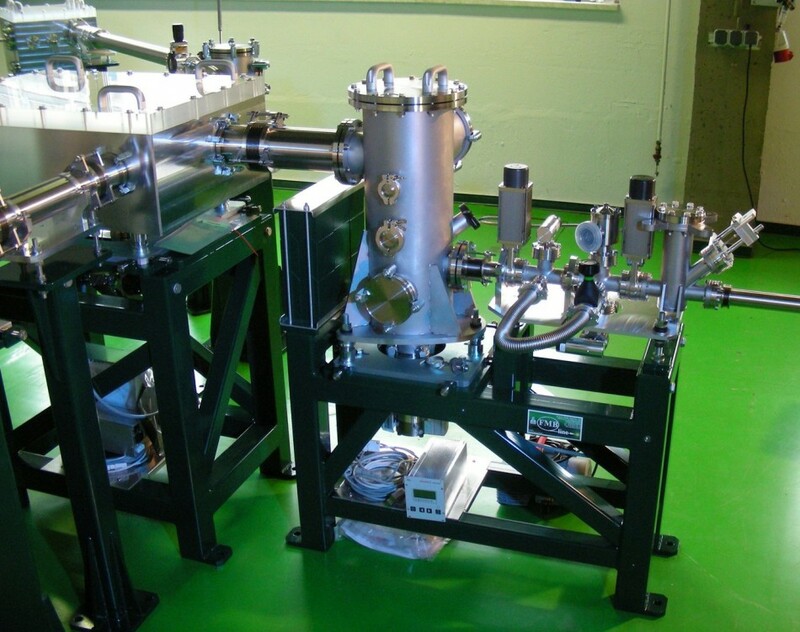 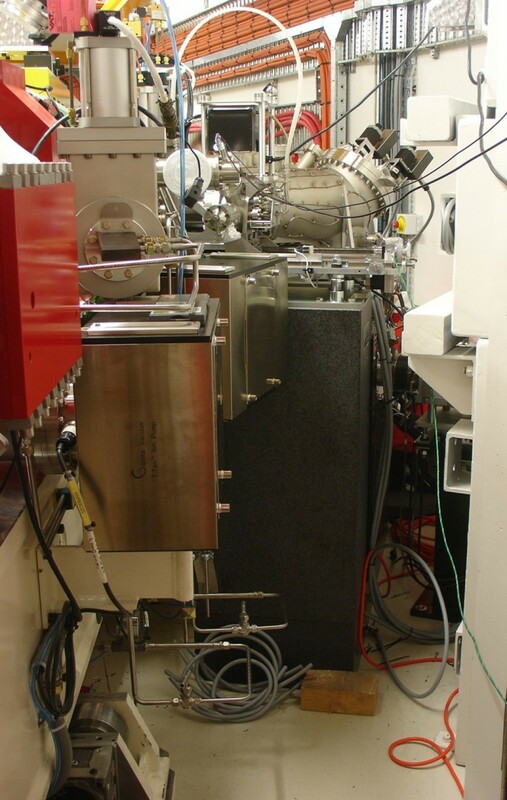 The IR beamline will be used for IR spectromicroscopy and high resolution IR spectroscopy. 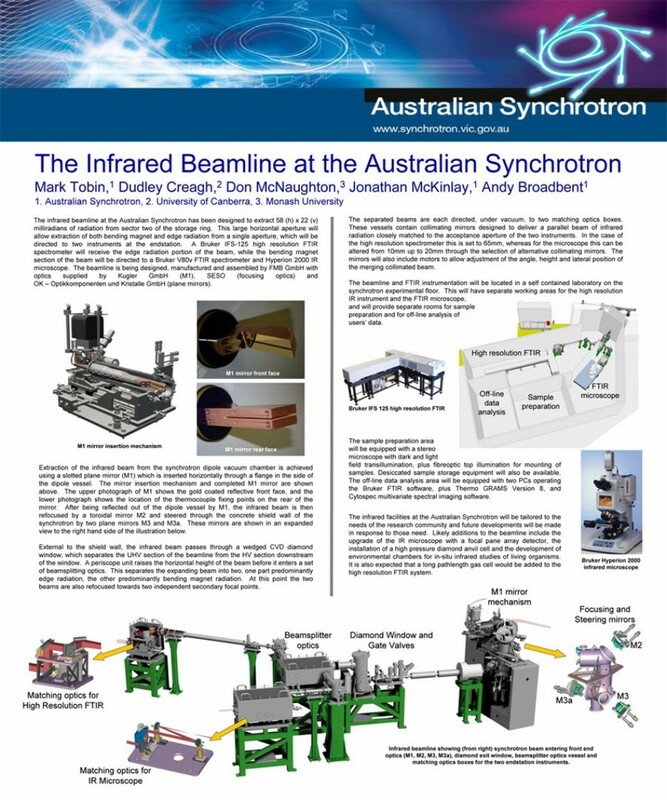 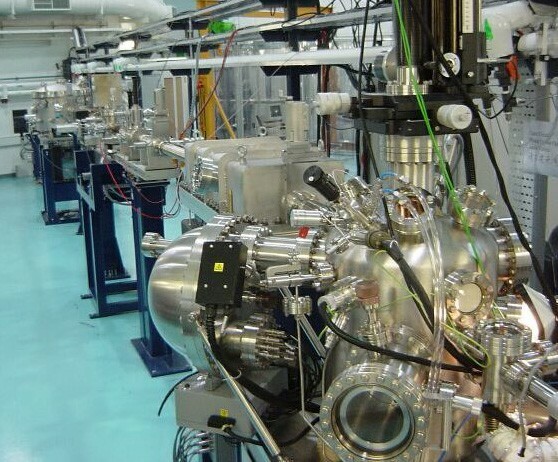 The IR Beamline at the Australian Synchrotron aims to deliver world class performance in terms of a bright and highly stable photon beam covering a wavelength range of from 0.4 to 100 µm. 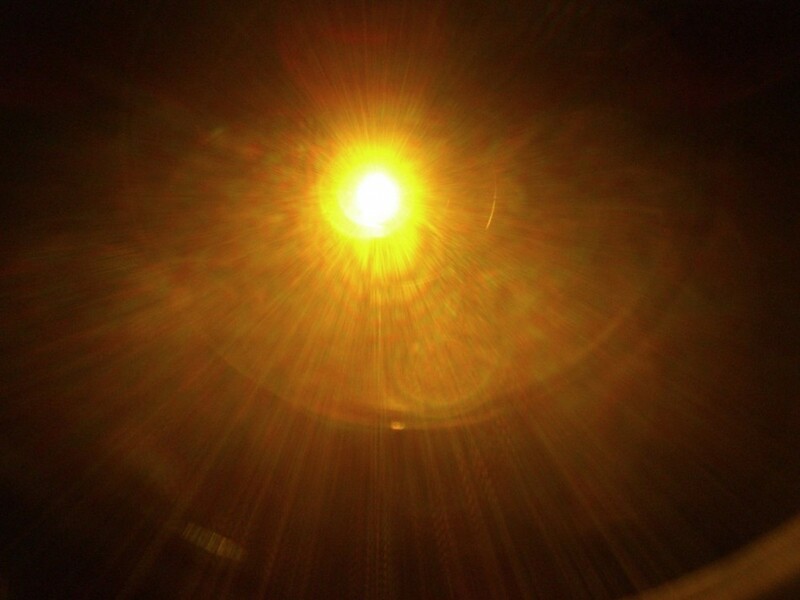 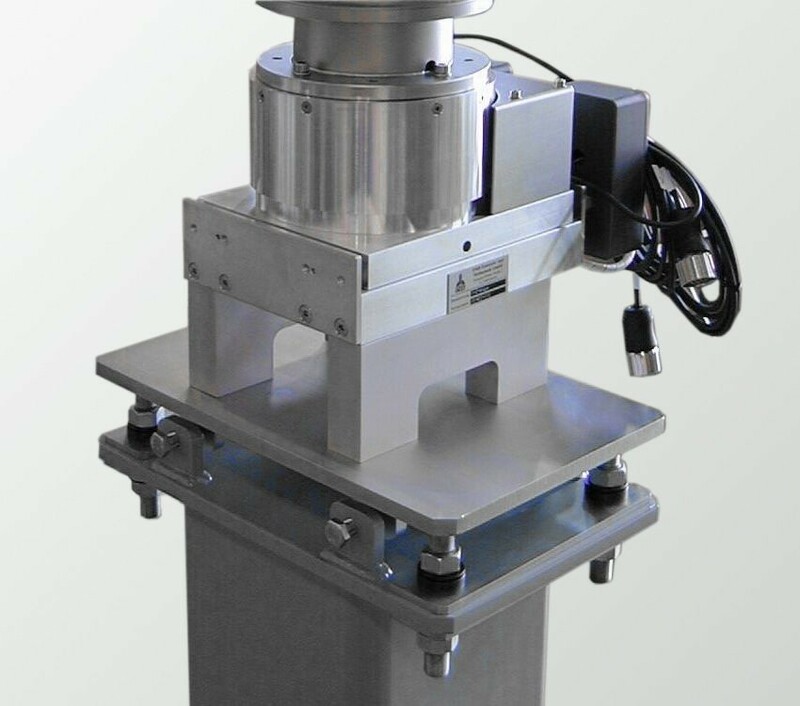 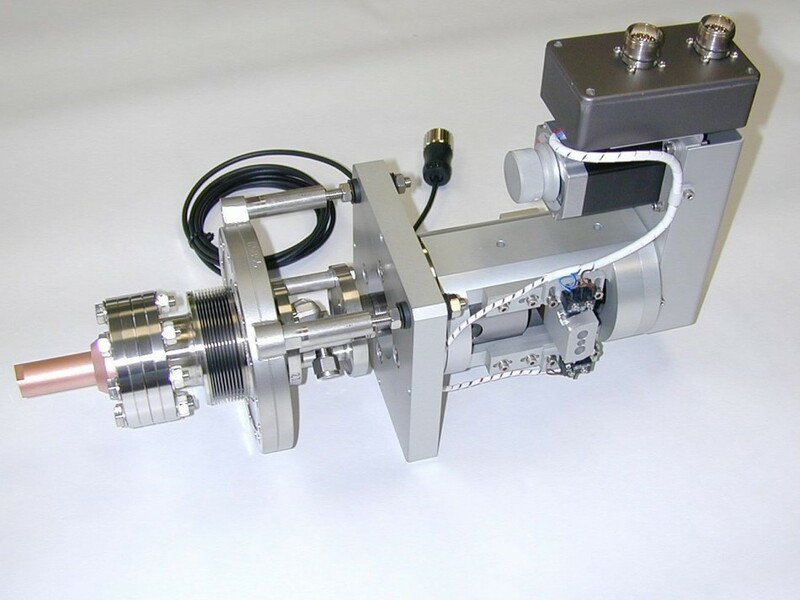 It is intended to be able to perform visible, near, and mid IR (0.4 to 15 µm) with the microscope, and mid to far IR (100 µm) with the spectrometer. 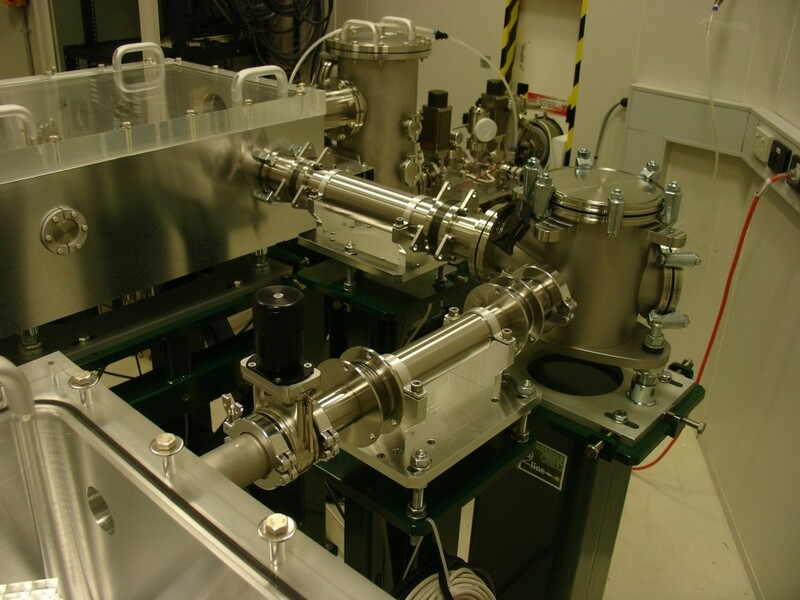 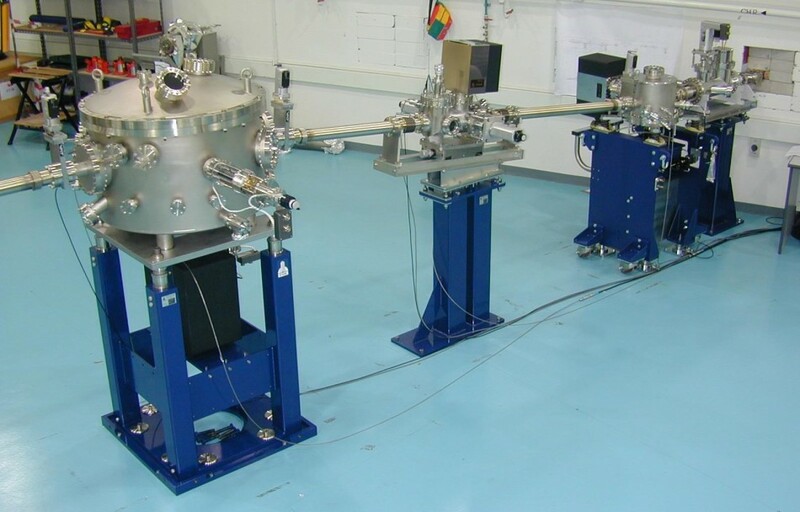 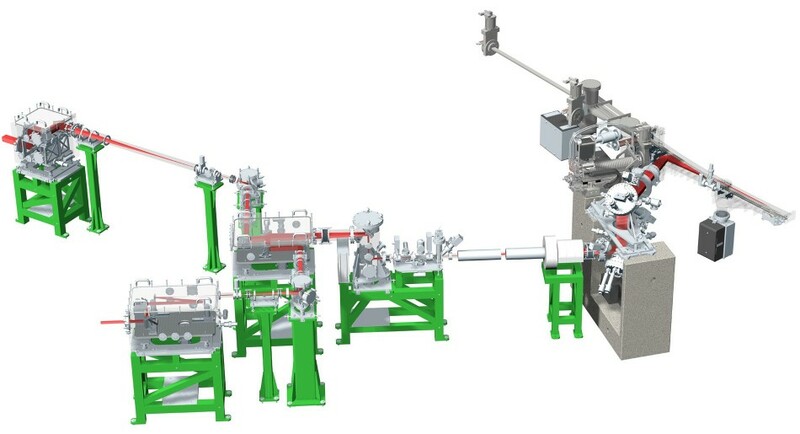 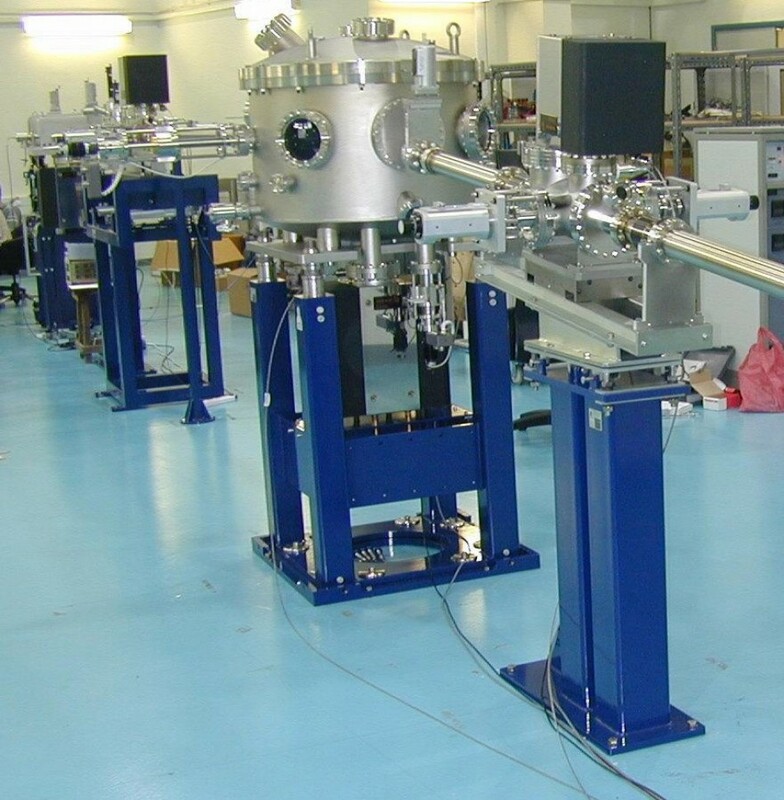 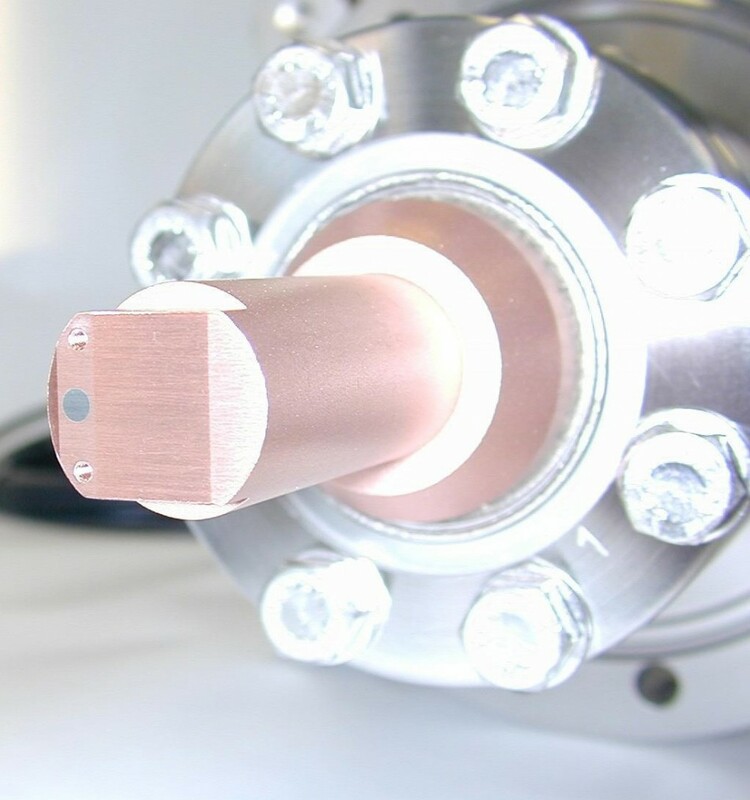 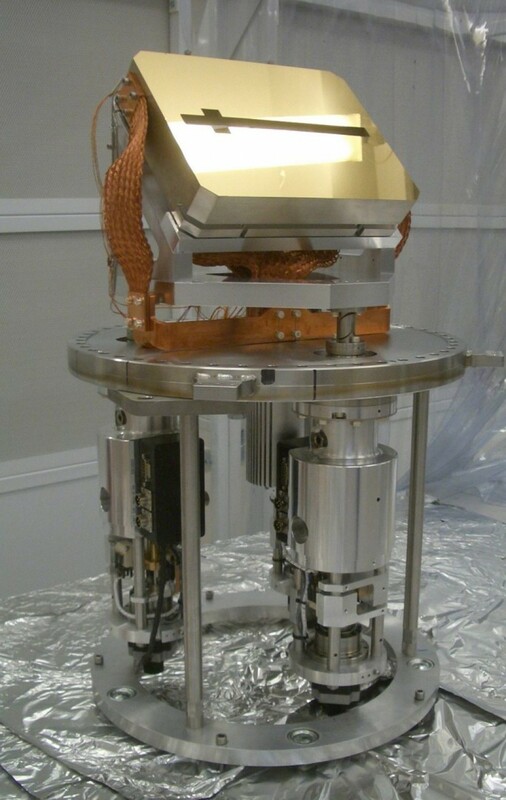 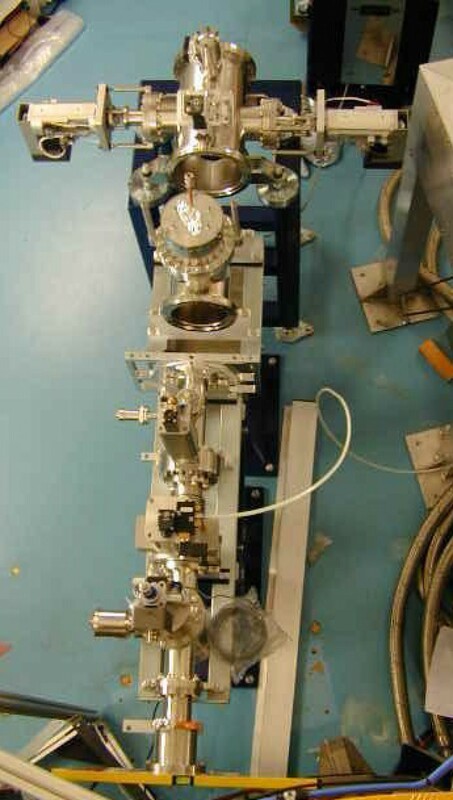 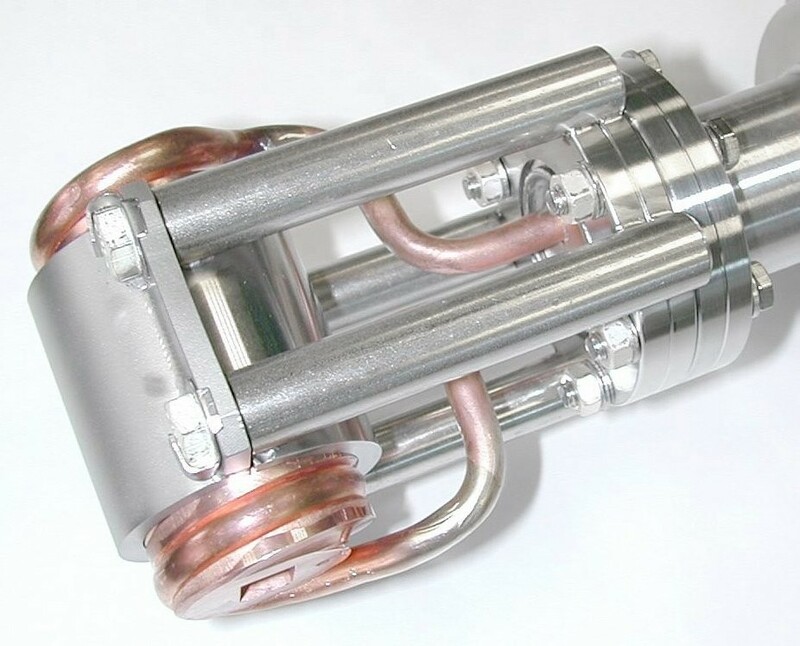 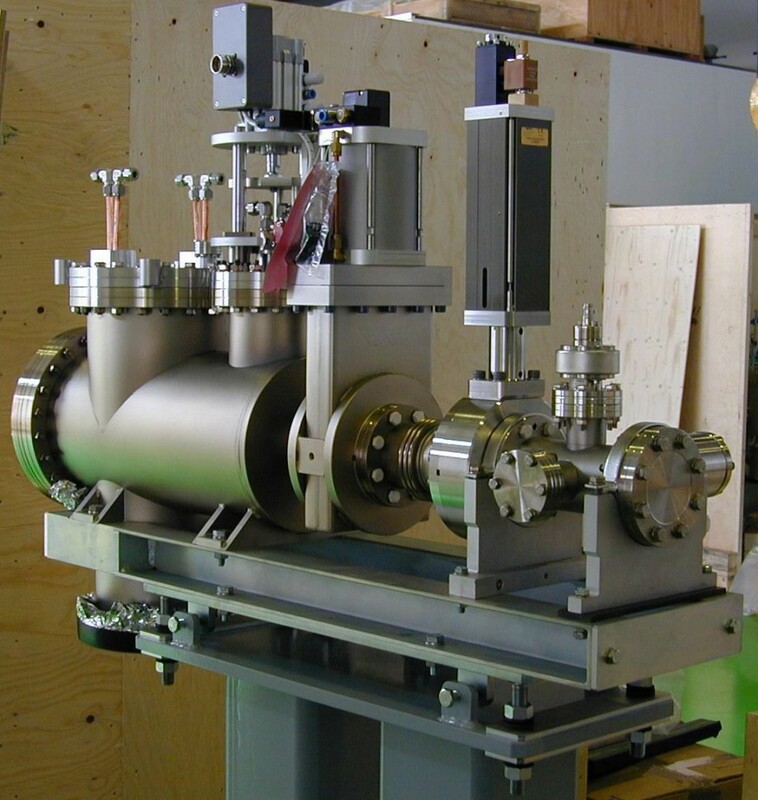 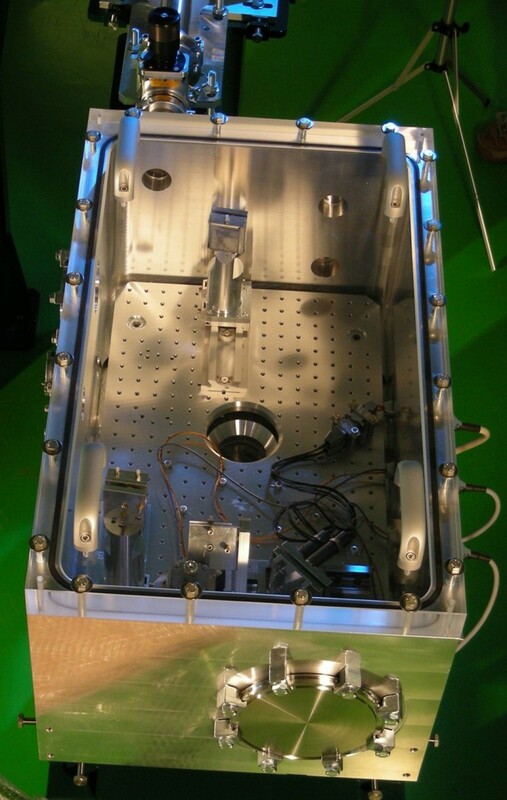 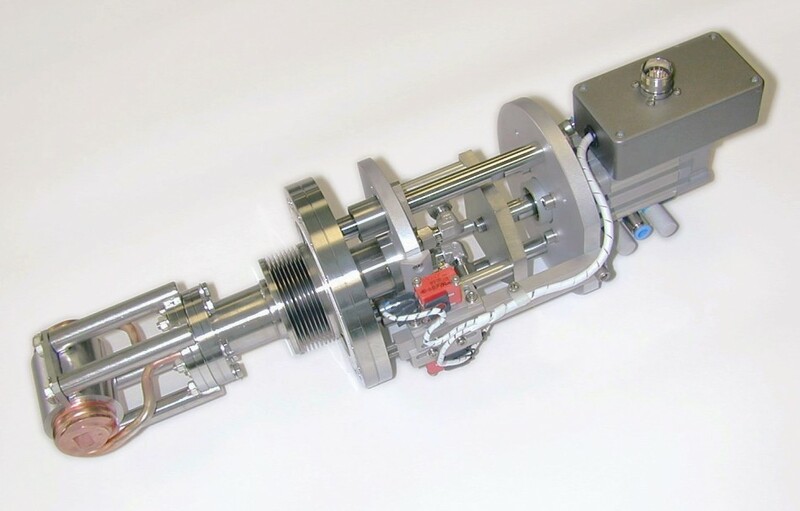 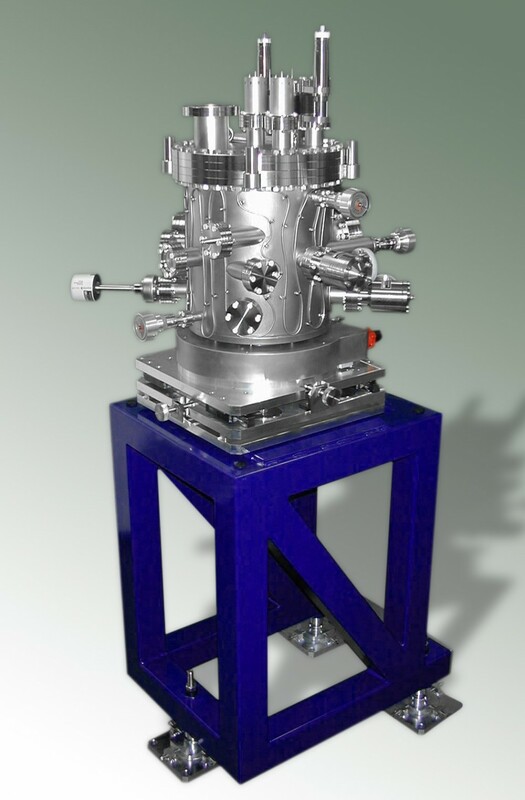 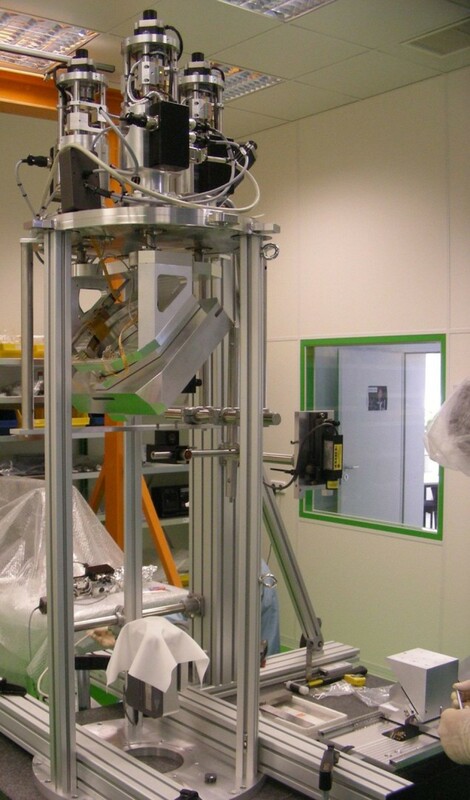 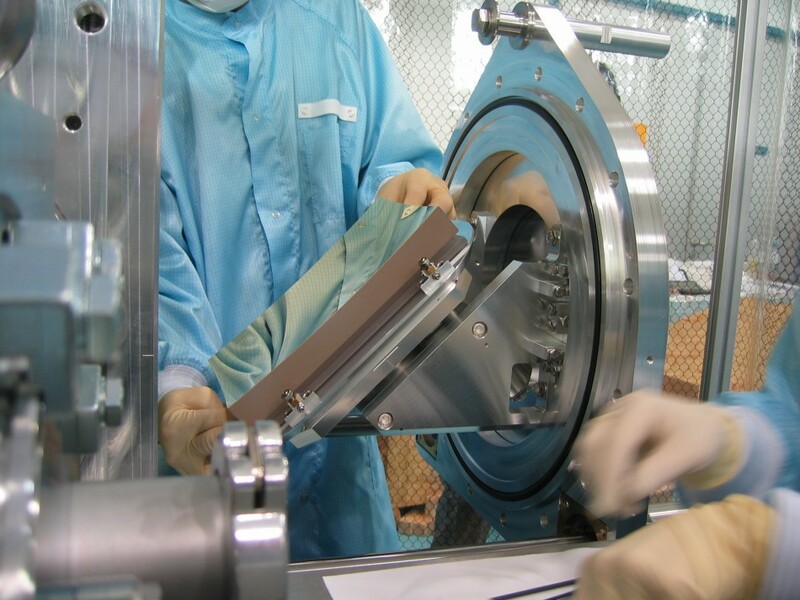 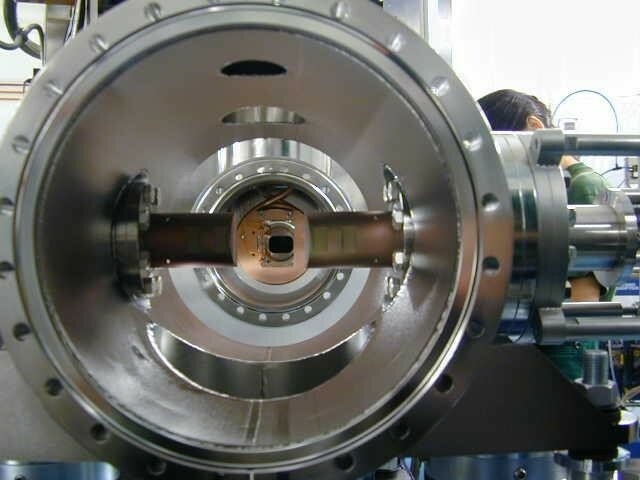 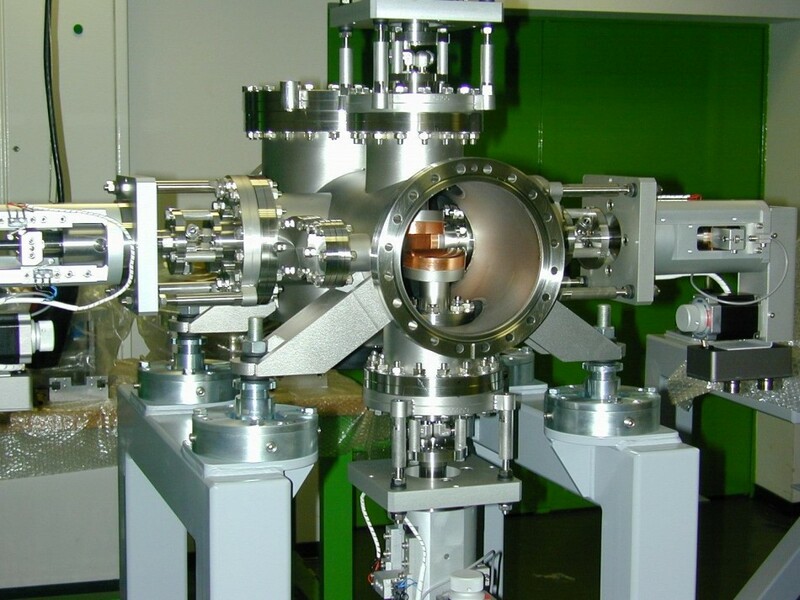 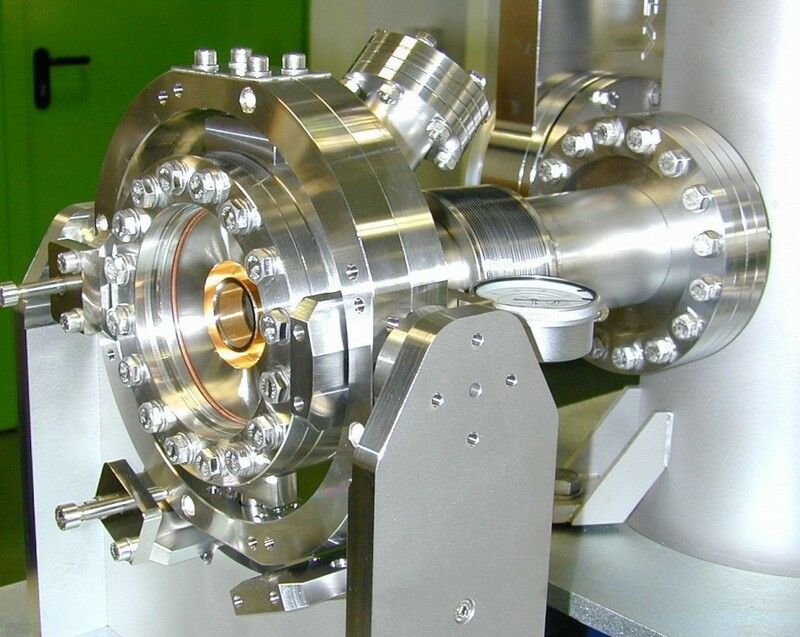 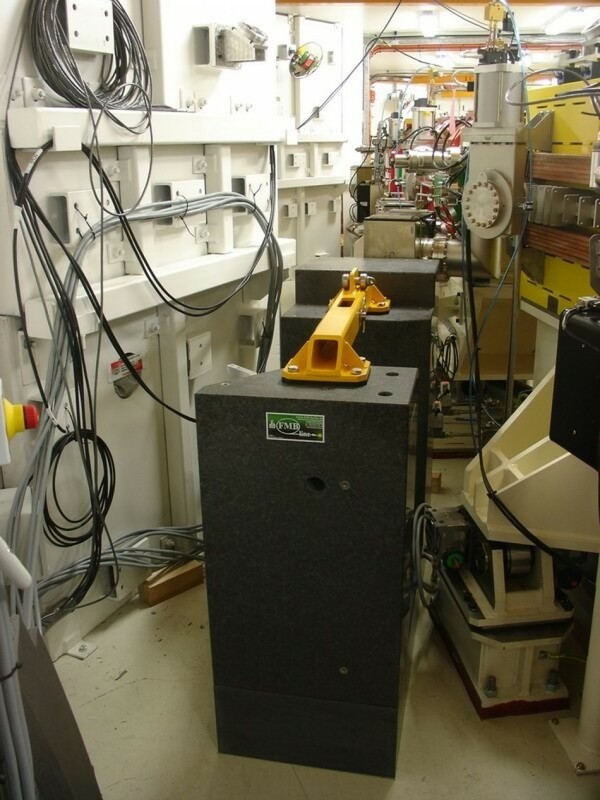 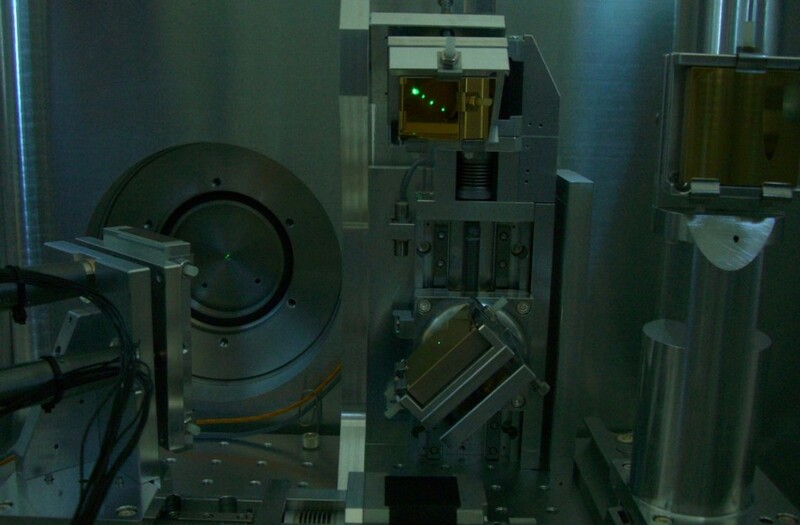 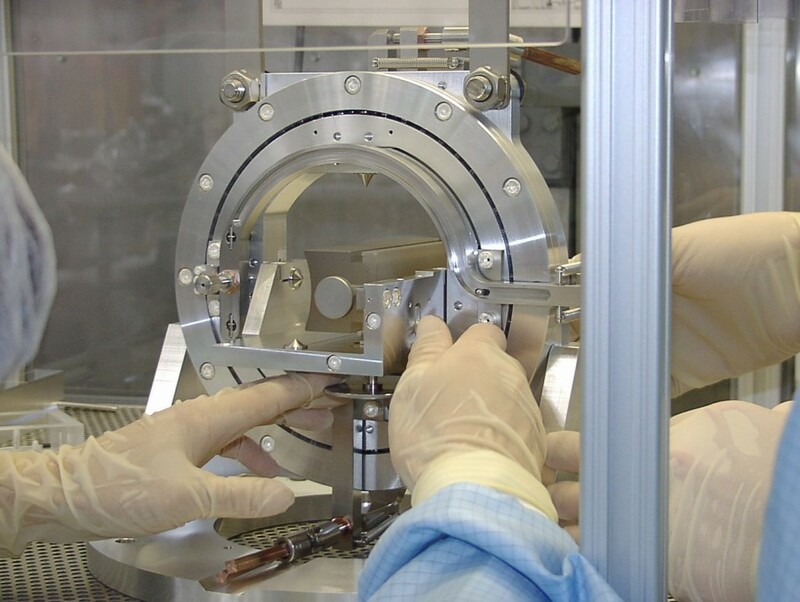 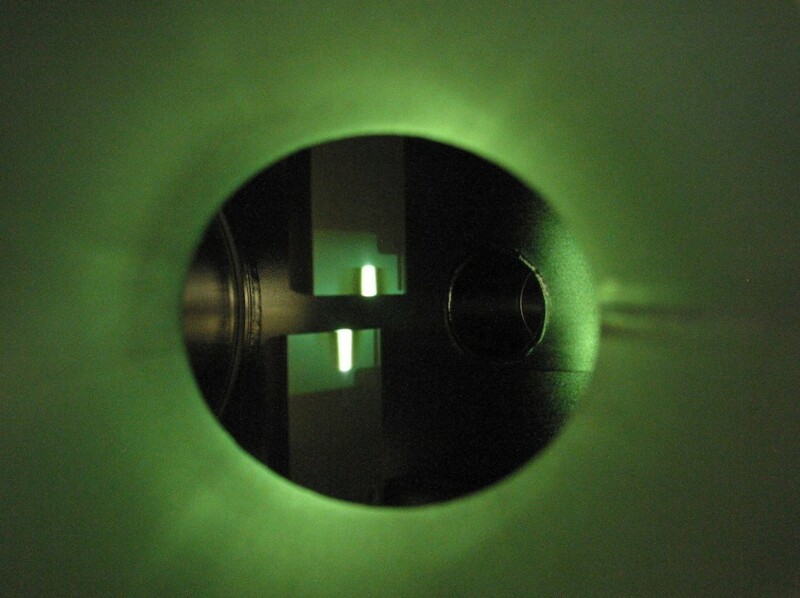 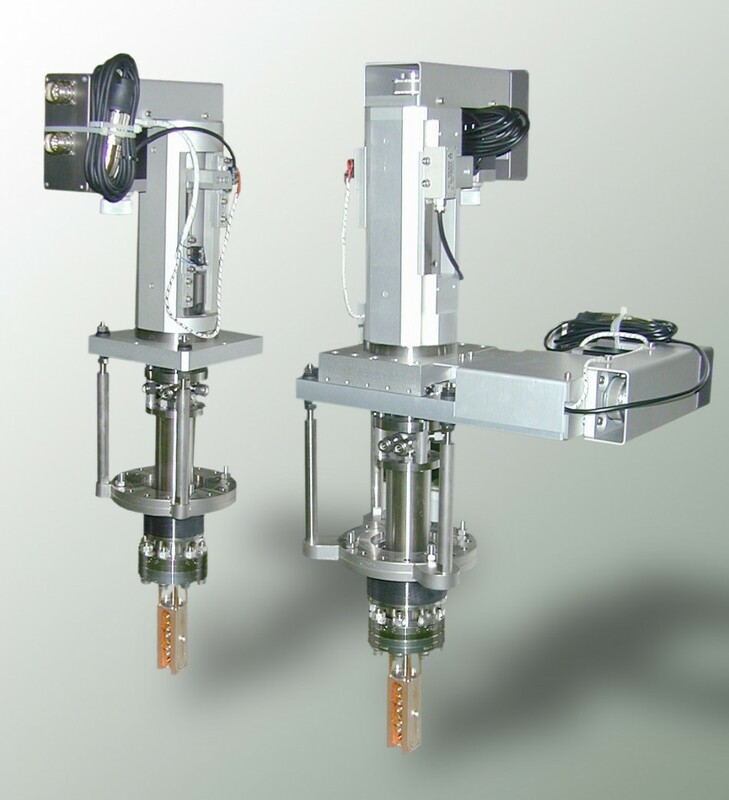 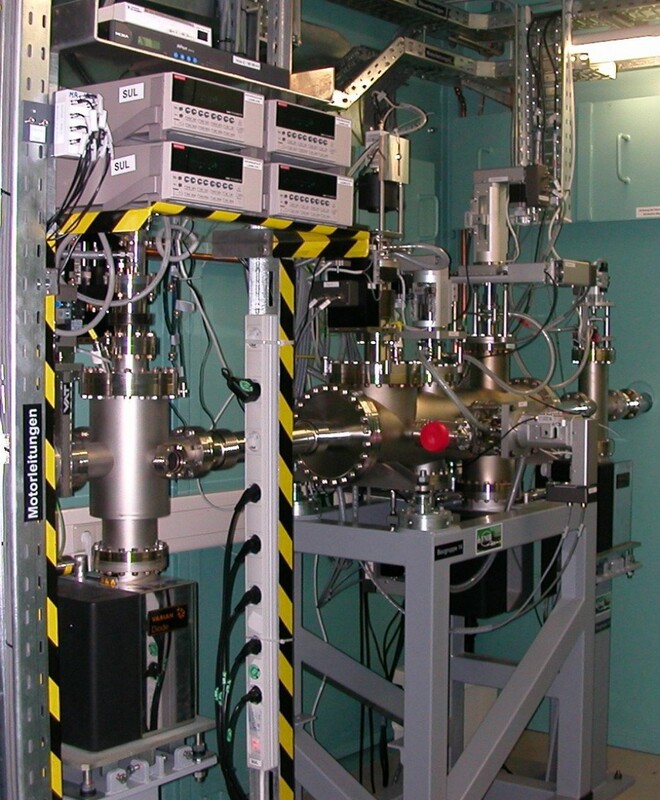 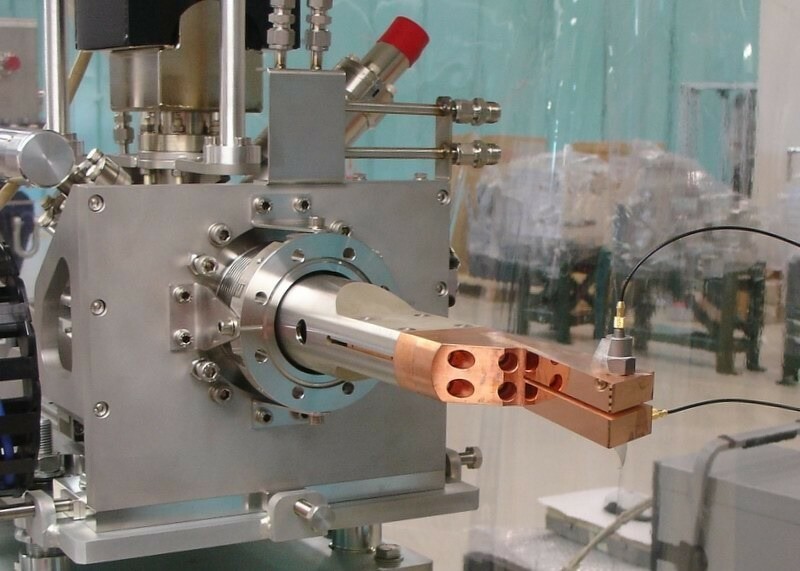 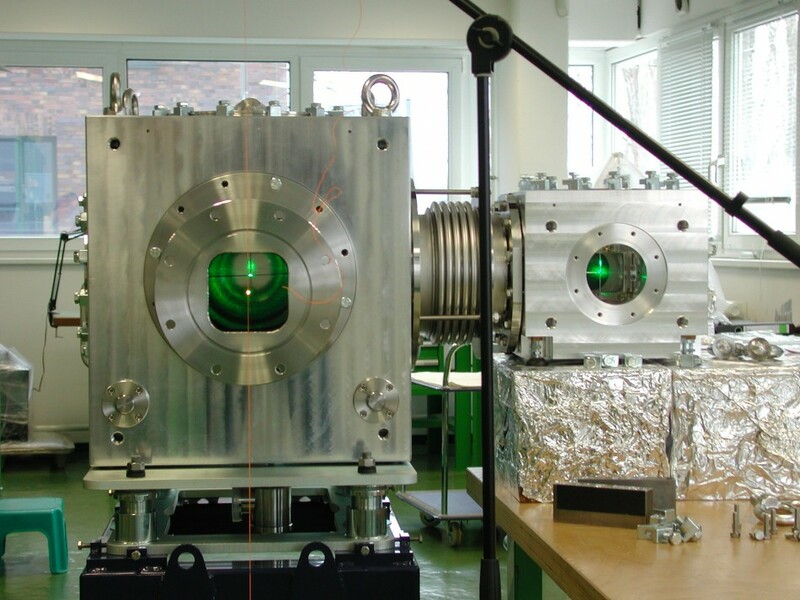 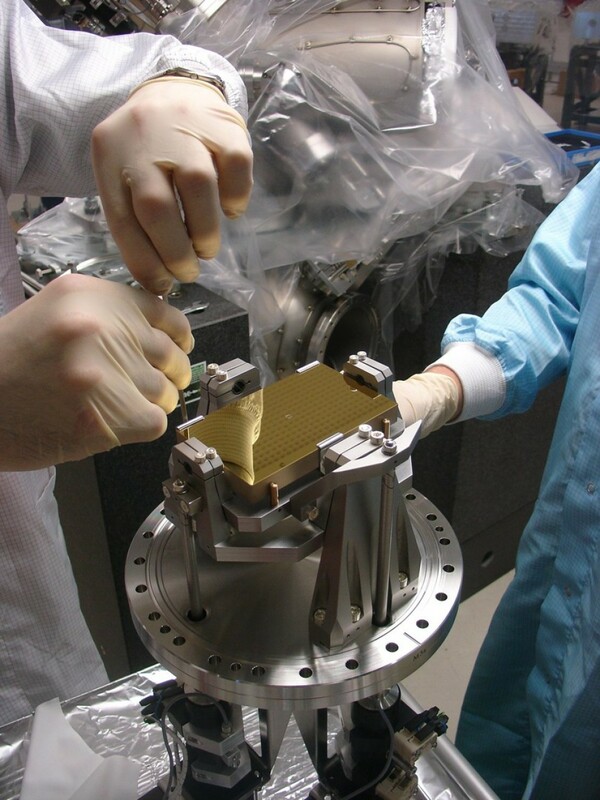 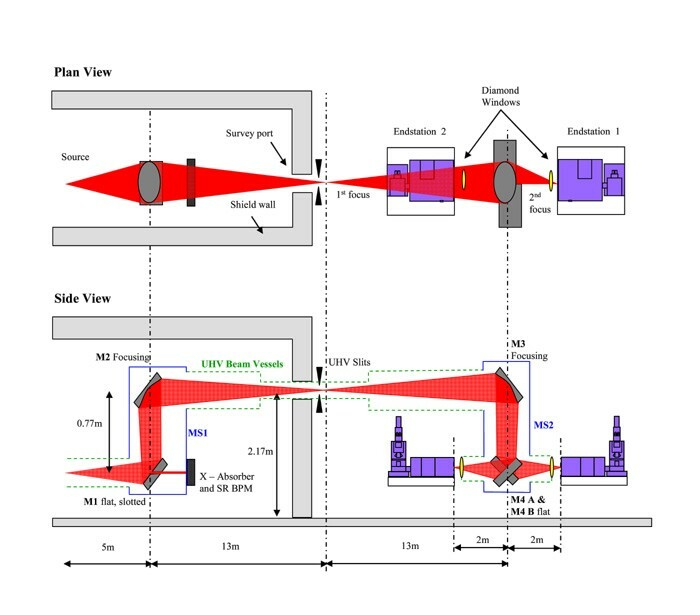 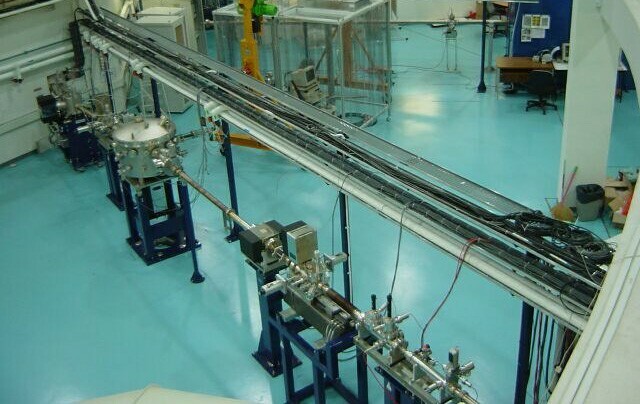 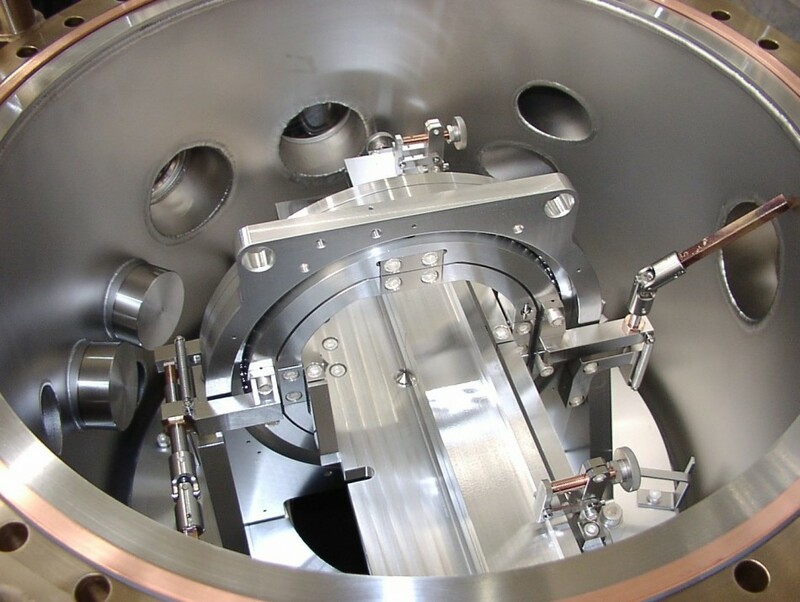 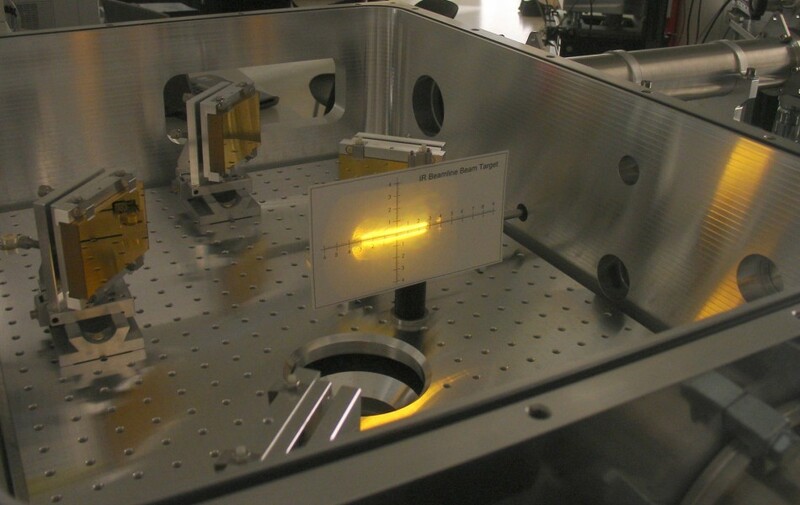 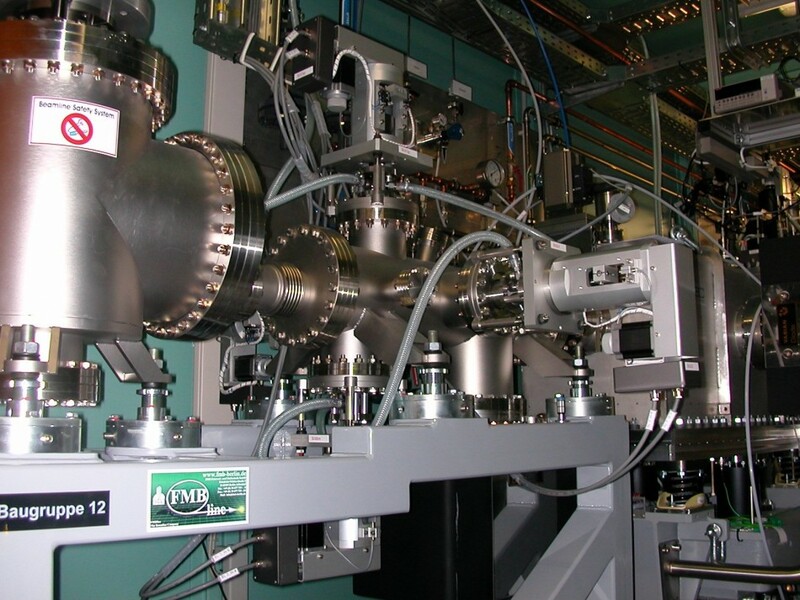 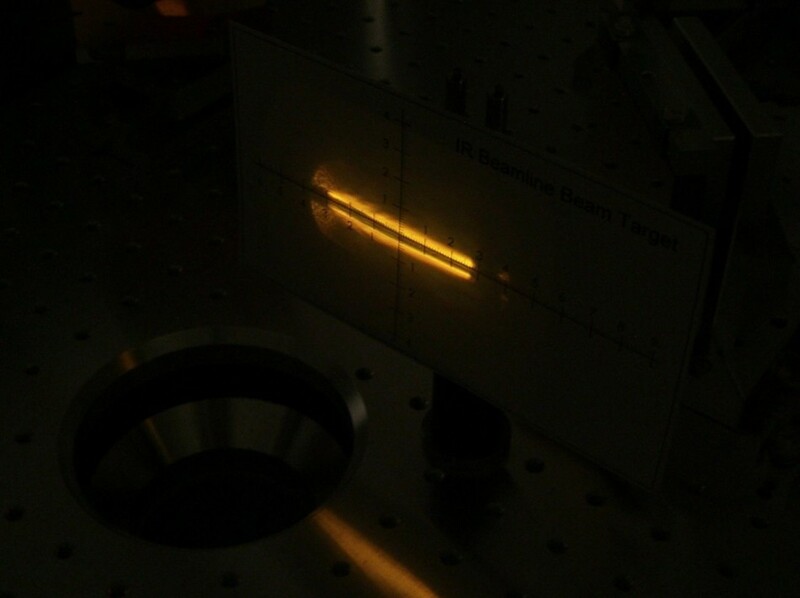 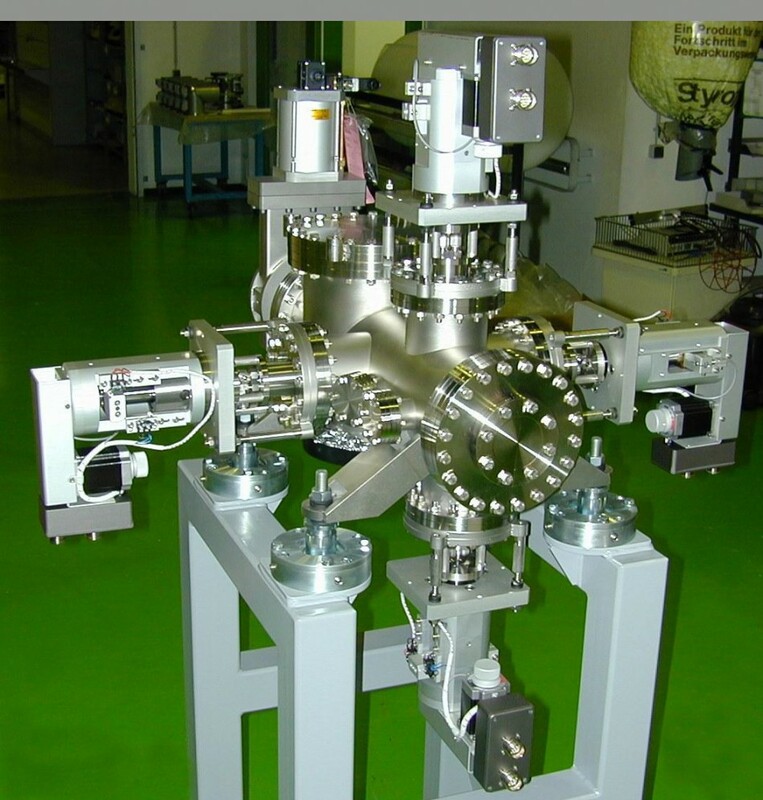 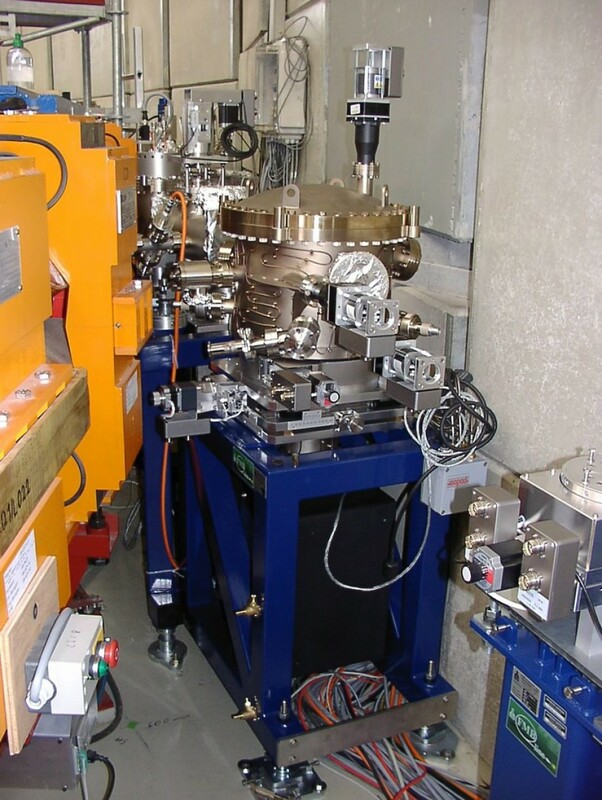 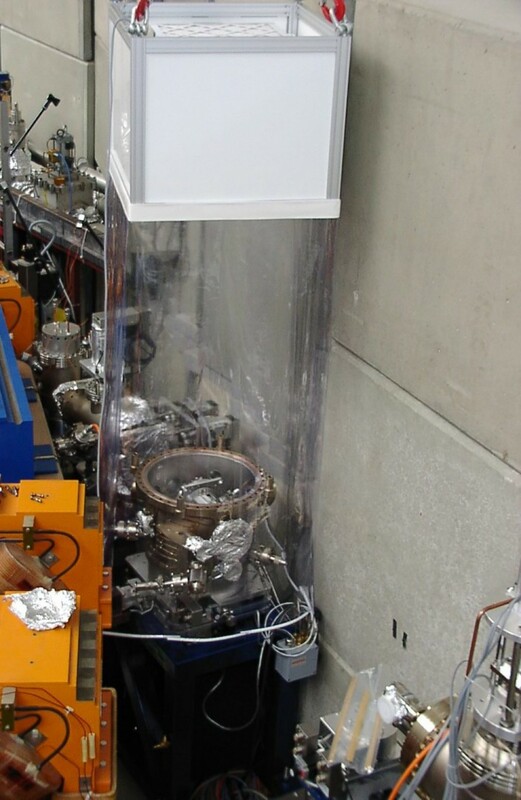 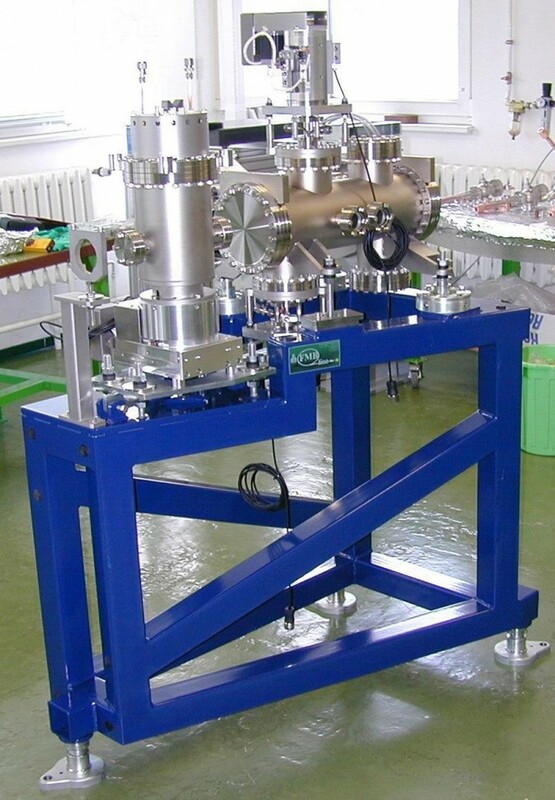 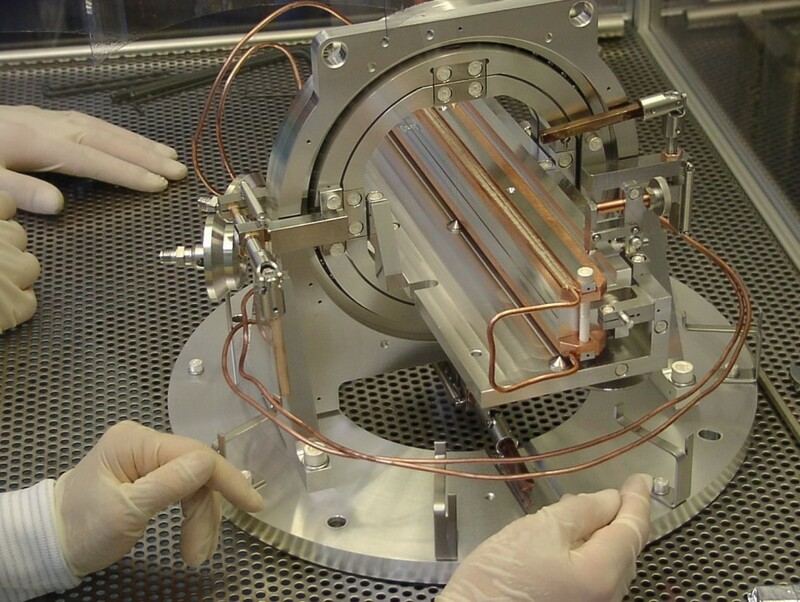 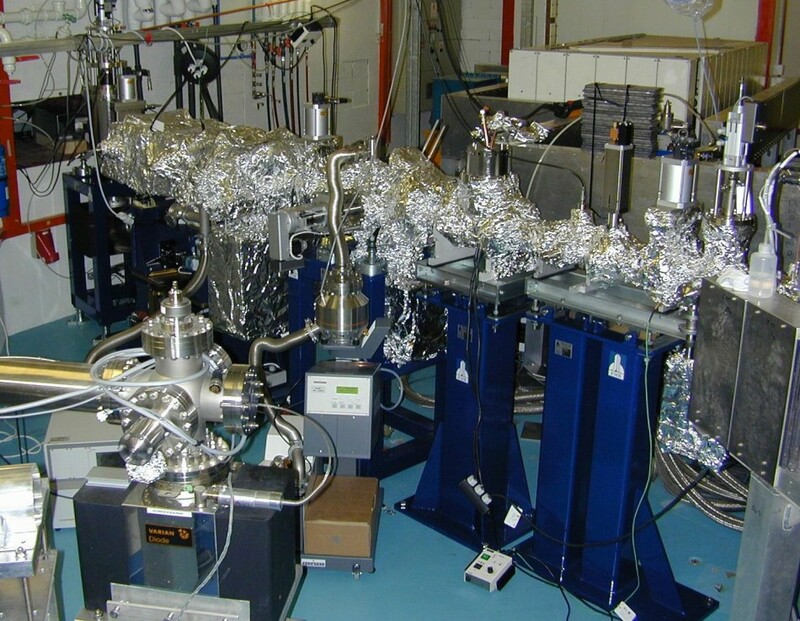 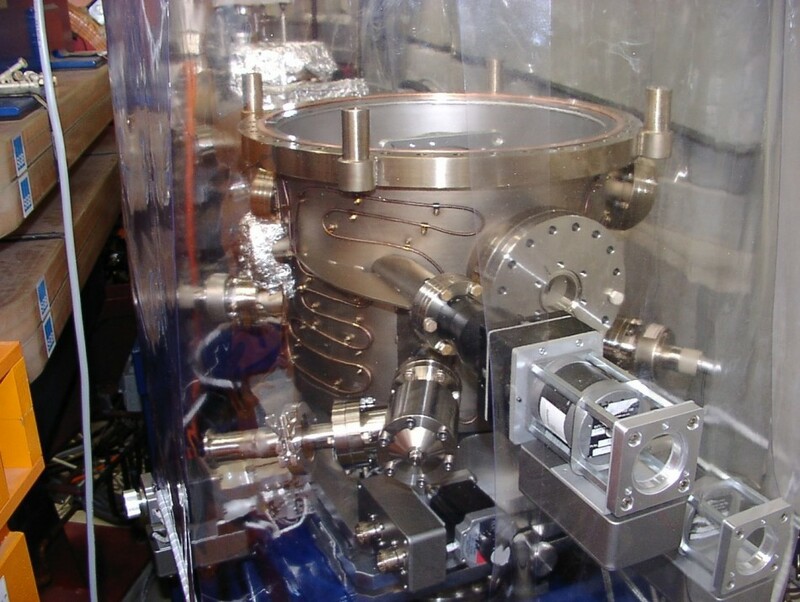 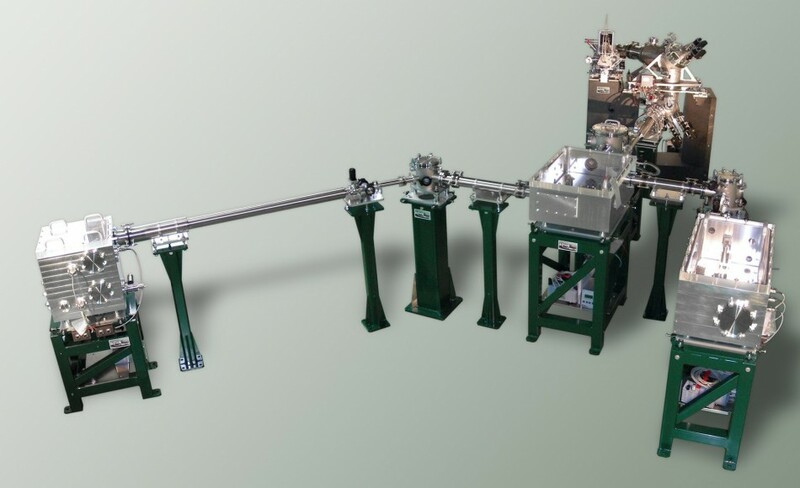 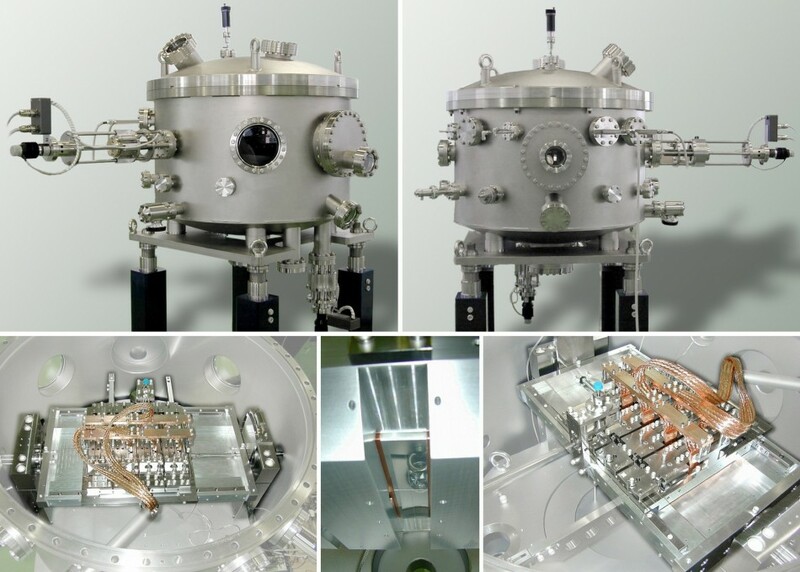 The complete beamline consists of the IR extraction system, which links to a beamsplitting unit, which separates the incident beam into two parts, one predominantly edge radiation, and the other predominantly bending magnet radiation. 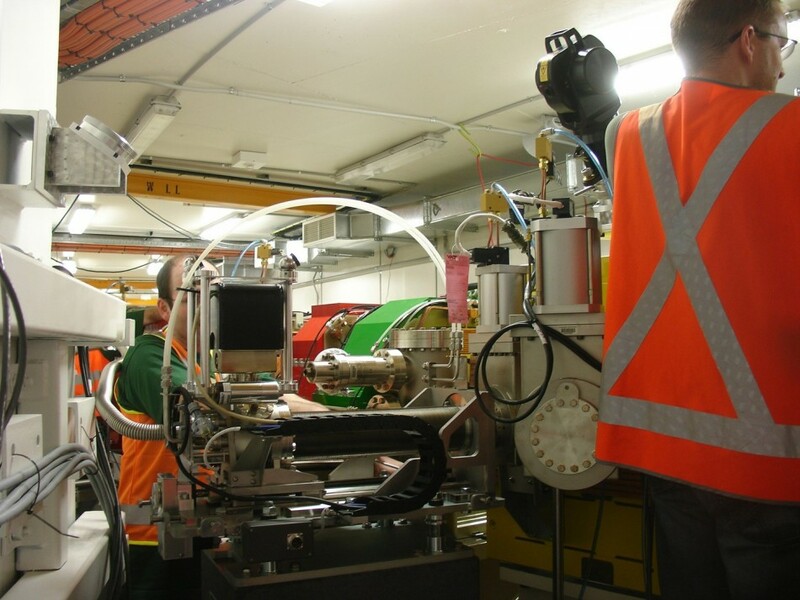 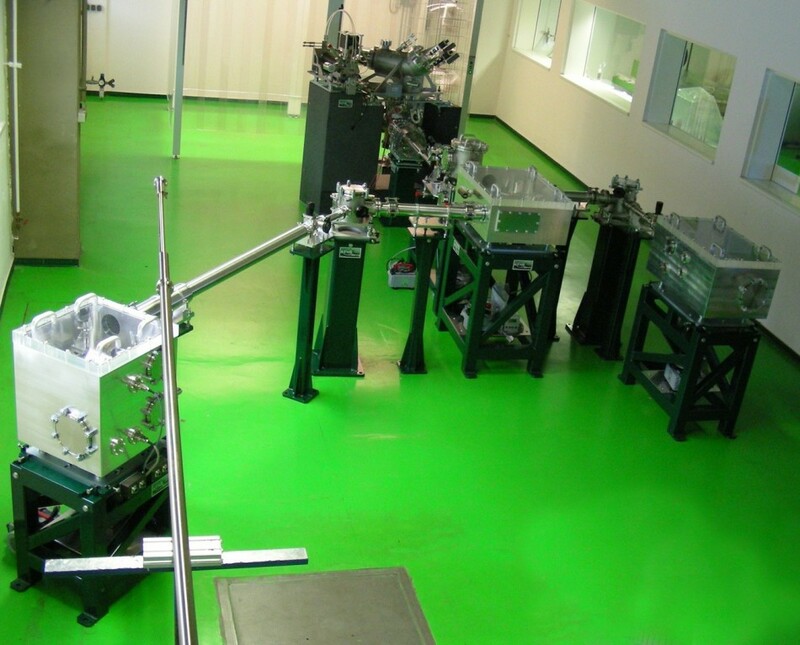 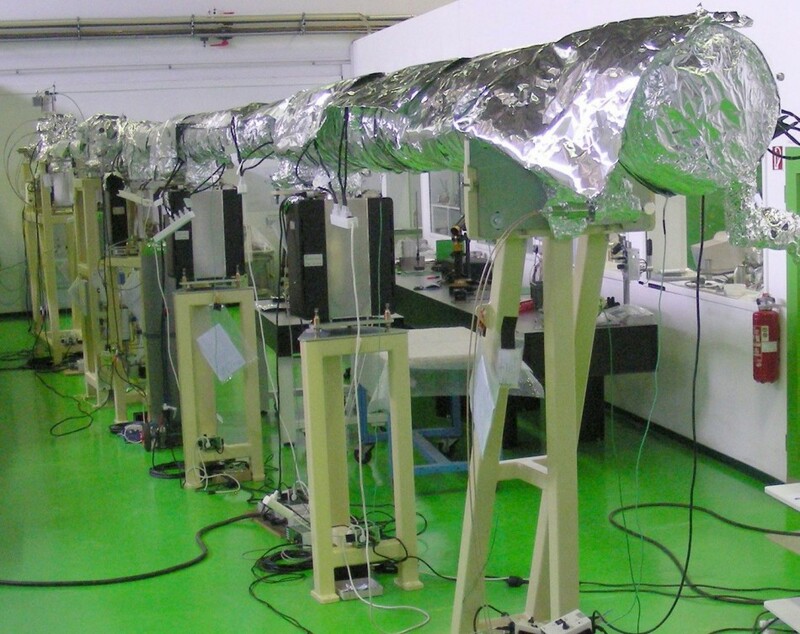 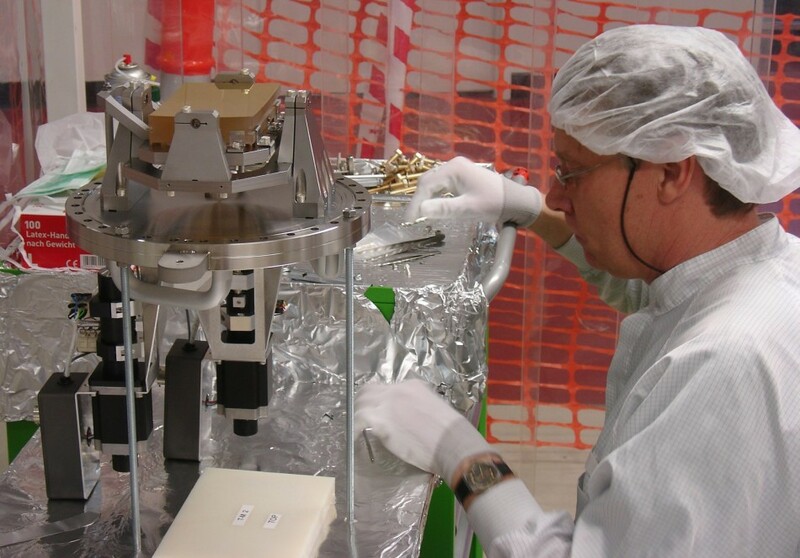 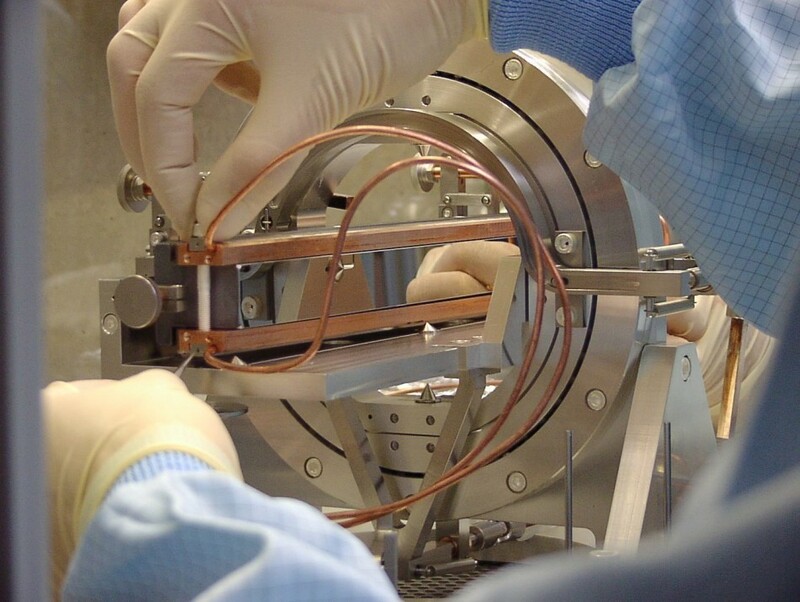 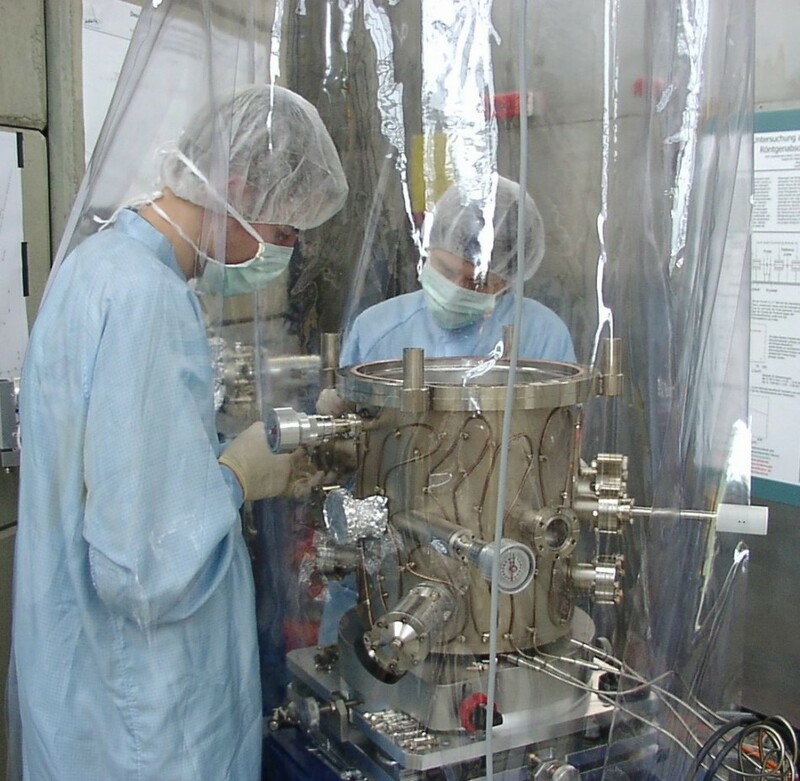 Each beamline is directed to matching optics boxes which are sited immediately before the instruments in the optical path and match the incoming photon beam to the entrance apertures of the instrument. 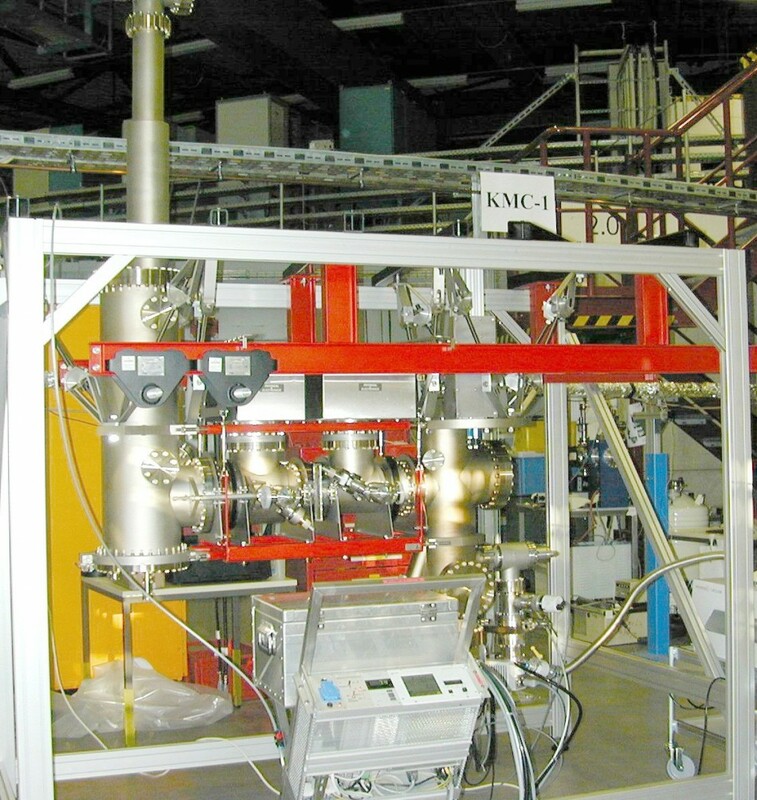 Infrarot Spektroskopie und Mikroskopie (ISMI) Beamline.